Wow! These buttermilk biscuits are amazing and my all-time favorite! They are so buttery, flakey, and moist! Perfect for jam or honey and a great side with grilled chicken, pork chops, or steaks! This recipe comes from former executive pastry chef, Nick Malgieri’s cookbook, “Bake! Essential Techniques for Perfect Baking”. 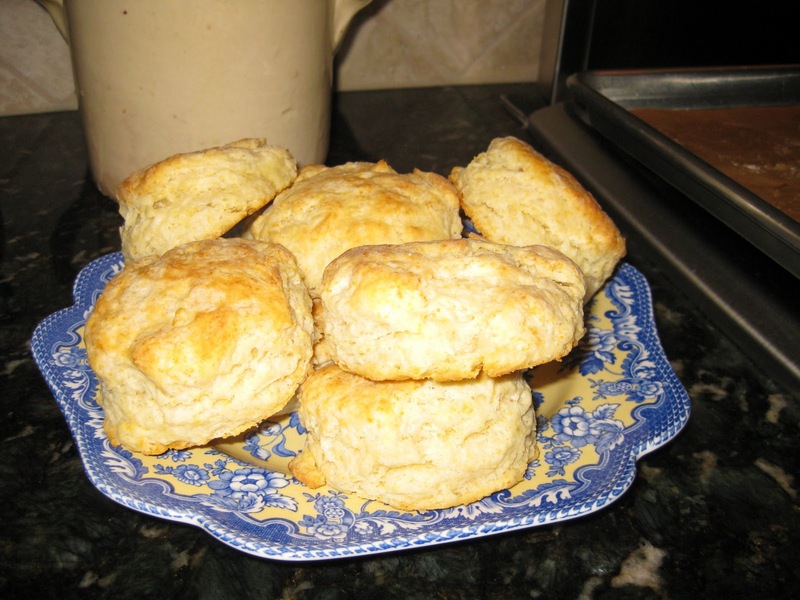 These are actually a modification of “Sourdough Biscuits” in Malgieri’s cookbook; the only difference is that these biscuits use buttermilk instead of whole milk, and baking soda is added to the recipe. Enjoy! 1. Set a rack in the middle level of the oven and preheat to 425 degrees. 2. Combine the flour baking powder, soda, and salt in the bowl of a food processor fitted with the metal blade and pulse several times to mix. 3. Add the butter and pulse again repeatedly until no visible pieces of butter remain and the mixture is still cool and powdery, but not pasty. 4. Invert to a mixing bowl and carefully remove the blade. Add the buttermilk and use a rubber spatula to scrape upward from the bottom of the bowl and moisten the dough as evenly as possible. 5. Invert the contents of the bowl to a floured work surface. Press the dough into a 6- to 7- inch square, then fold it in three: Fold the bottom third of the dough closest to you up over the middle third, then fold the top third down over that. Press it out again a little longer in the length and repeat the folding into thirds, this time from the short ends. Press the dough back out into a 6- to 7- inch square. 6. Use a 2- to 2 1/2- inch plain round cutter, flouring it before each cut, to cut out the biscuits. Cut straight down and don’t twist the cutter or the biscuits won’t bake straight-sided. Cut them close together to avoid generating too many scraps. 7. Press the scraps together into a rectangle only as wide as your cutter and three times as long. Cut out three more biscuits and discard the remaining scraps. 8. Arrange the biscuits about 1 inch apart on the prepared pans. For advance preparation, cover the pans with plastic wrap and chill the biscuits for up to 2 hours before baking, then bake them straight from the refrigerator, without returning them to room temperature. 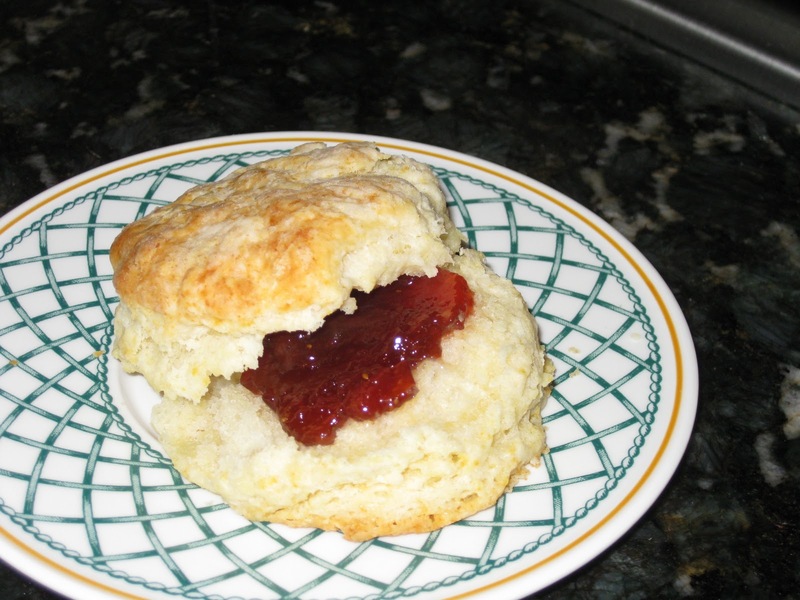 If you intend to prepare the biscuits in advance, preheat the oven only about 20 minutes before baking. 9. 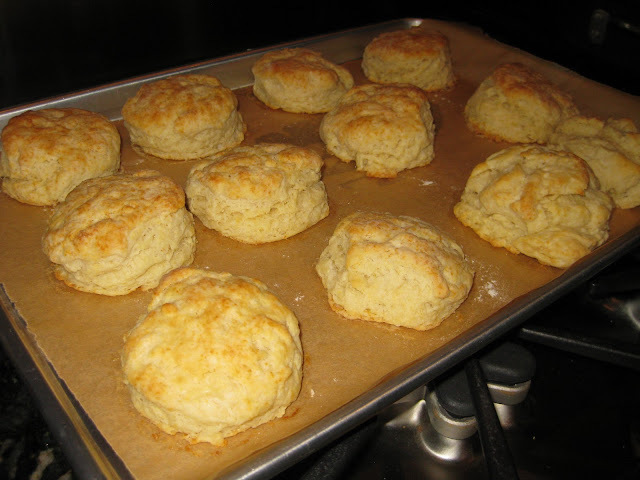 Bake the biscuits until they are deep golden and well risen, 15 to 20 minutes. Let the baked biscuits cool for a couple of minutes on the pan before serving. 2 Responses to "Buttery Buttermilk Biscuits"